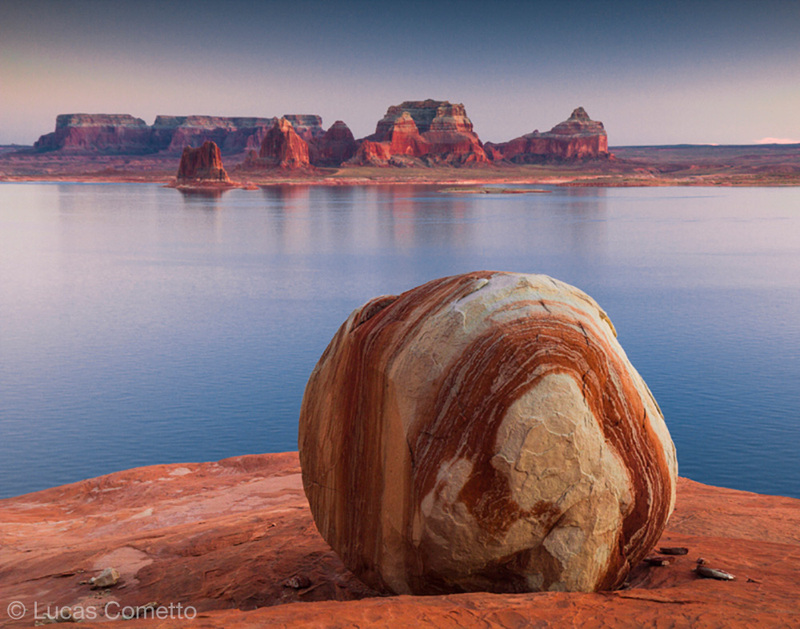 The trip to Lake Powell is very memorable, especially the camaraderie felt amongst the photographers. Some locations were a little bit challenging to get to and I appreciated greatly the help I received from Peter, Ken, and other photographers. This time of the year, Lake Powell was very quiet. Although the water level this year was too high, we still managed some really nice shots. The house boat plus the motor boat made it very convenient for us to get to lots of good photo spots. I highly recommend this photo tour. I thought that the workshop was well done and the sites selected were excellent even though the high lake level eliminated some locations. The 53 foot houseboat was very comfortable yet small enough to get to the Rainbow Bridge access dock. I learned several things – like how to use leading lines in a photograph. The cost of the tour was very reasonable – much less that what one would pay for an Arizona Highways workshop. I would rate this tour a 9 out of 10. The only negative comment was that our powerboat was overloaded. If you should do a workshop like this again you might want to rent a larger powerboat or put limitations on the amount of photo gear taken aboard the small boat. It was indeed a pleasure to spend time with you and Kent. Finally, thanks for the recommendation of Fiesta Mexicana in Page. I had the mole chicken enchiladas. Muy bueno. 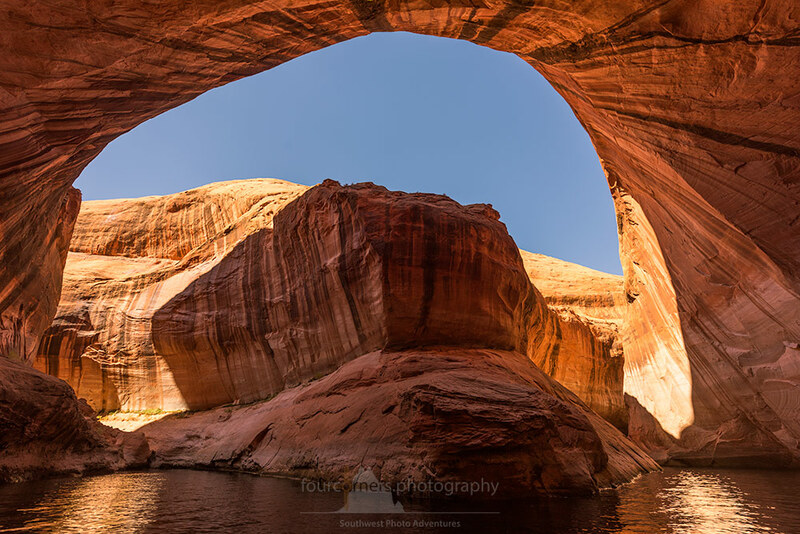 Im Herbst 2016 hatte ich die Gelegenheit, Peter zusammen mit einigen anderen Hobbyfotografen auf einer seiner Hausboottouren auf dem Lake Powell zu begleiten. Im Anschluss verbrachten wir mit Hilfe seines voll ausgestatteten Jeeps noch zwei Tage in White Pocket und Cottonwood Cove. Die gesamte Tour wurde von Peter sehr sorgfältig organisiert, geplant und durchgeführt. Sei es als Hausbootkapitän oder als Fahrer seines Jeeps im Sand von Vermilion Cliffs. Er legte dabei jederzeit zunächst die höchste Priorität auf unsere Sicherheit und gleich danach auf das beste Licht und den besten Ort unter den jeweils gegebenen Bedingungen. Peter gab mir bei dieser Reise nicht nur die Möglichkeit großartige Fotos mit nach Hause zu nehmen, ich habe auch ebenso unvergessliche Erinnerungen an großartige Momente unter freiem Himmel, zusammen mit netten Menschen. Peter kennt den amerikanischen Südwesten sehr gut und sprichwörtlich wie seine Westentasche. Dank ihm waren wir mit unseren Kameras zur richtigen Zeit an Orten, an die wir ohne sein Wissen und seine Erfahrung nicht gelangt wären. Darüberhinaus ist er in meinen Augen ein hervorragender Fotograf mit dem gleichen hohen Anspruch an seine Fototouren wie an seine Bilder. Er war immer offen und bereit sein Wissen mit uns zu teilen und stets sehr bestrebt, seine Gäste in die optimale Ausgangslage zu bringen, die besten Fotos zu machen. Es dürfte schwierig sein, für einen ähnlich guten Preis vergleichbare Touren zu finden, die fotografisch so viel zu bieten haben und bei denen man gleichzeitig seine Leidenschaft für das Leben “Outdoor” so gut ausleben kann. Ich hoffe, bald wieder mit Peter auf Tour gehen zu können! Peter’s guided tours permit photographers access to remote locations normally difficult to arrange oneself. This was the case on our tour of Glen Canyon/Lake Powell and Vermilion Cliffs National Monument. He managed all arrangements to procure a sizable and comfortable houseboat for the five of us who joined him on Lake Powell for four days. 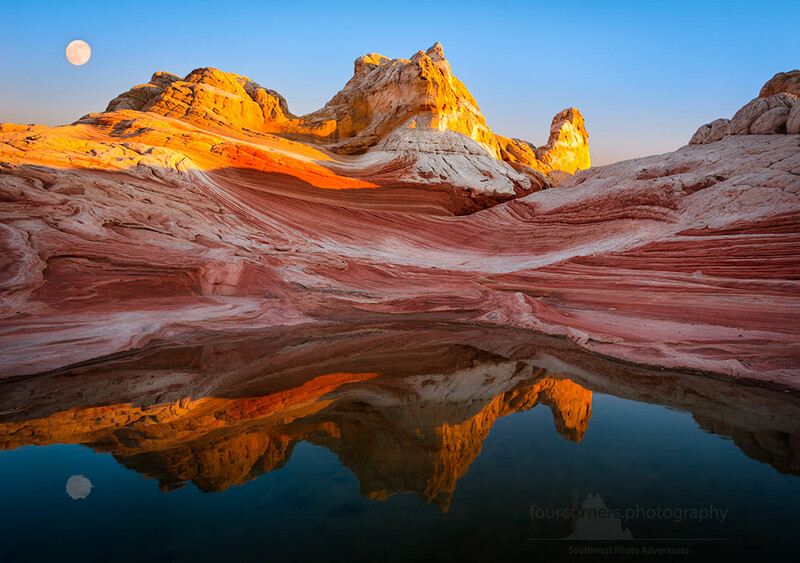 He also drove his modified four-wheel drive Jeep through the sharp rocks and deep sand of Vermilion Cliffs to get our group to White Pocket and South Coyote Buttes in time for sunrise and sunset photography. 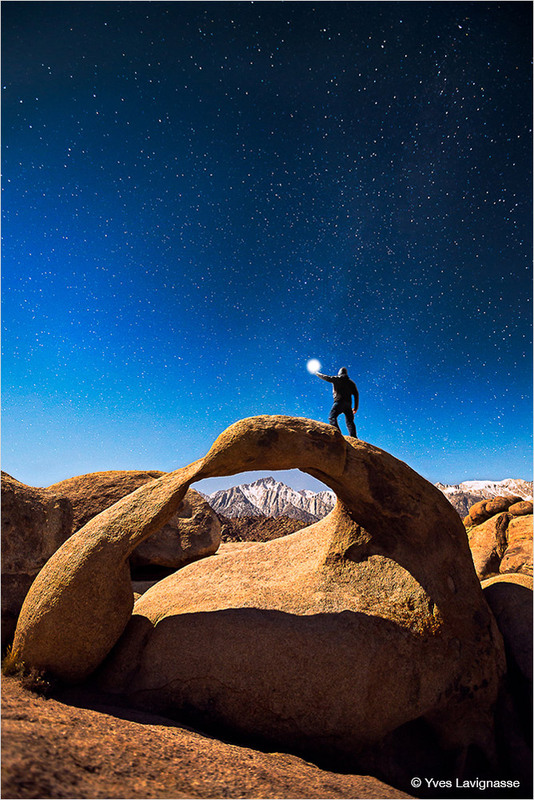 His knowledge of the Four Corners region is vast and his experience in photography allows him to serve as a valuable resource for questions regarding photography and equipment. Due to his leadership and assistance, I came away with several fine photographs on the trip and I hope to take one of his tours again in the near future. Peter Boehringer is a professional’s professional, both as a guide and as a photographer. Because he is an excellent photographer, he is an excellent judge of where to be at what time of day so his clients get the best photos. Given that fact and his utterly reasonable fees, I recommend his trips highly. You could pay many thousands of dollars more and get far less for your money. He will help you take your photography to the next level. The first time I came across the picture for reflection canyon was in 2014, I have to say it was amazing. 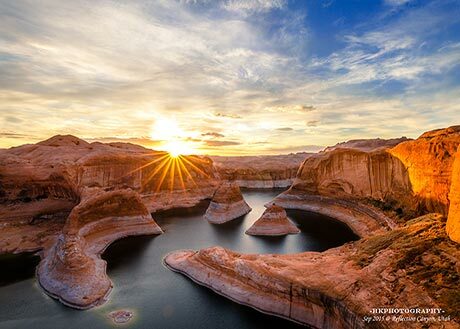 Recently, I searched some articles and found the Peter’s photograph website about the trip to reflection canyon. I joined him without hesitation since he is so experienced about backpacking and hiking which I can tell from his homepage. I took some pictures in the Bisti Badlands and Monument Valley before we arrived at Escalante. Those sunset and sunrise moments was nice. The “trail” to reflection canyon was really tough, but Peter had every in his mind and I just followed him. The sunrise there was unforgettable, and with the help of Peter I took pictures I want. The last stop we camped was the San Juan Gooseneck State Park. The natural curve made the canyon looks special. One more for sunrise. I have to say the Southwest is a place deserve going for many many times. Since every spot is good for sunrise or sunset. Thank you for Peter’ guide, equipment and organizing such a fantastic tour. As avid Ed Abbey fans and red rock country hikers, we never imagined taking a houseboat trip on Lake Powell. But we are so glad we seized the opportunity when some of our Flickr friends suggested we join in. 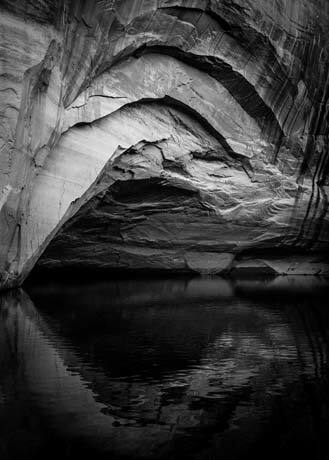 It was a fantastic chance to experience and photograph the remote canyon country, nearly inaccessible by foot, and to get an inkling of the beautiful and powerful landscape of Glen Canyon! Amidst the beauty, we added to our knowledge of the early exploration of the area, and shared stories and local lore with our houseboat companions as we traversed the Lake. Peter expertly maneuvered the houseboat up the arms of Glen Canyon, no easy feat in some of the narrow winding side canyons or where there were hidden underwater buttes, to find coves for mooring, where we could camp, or set out on foot or kayak. Hiking on the slickrock to vast viewpoints was incredible, past beautiful petrified sand dunes, rock formations, and potholes, some as large as a horse, some filled with oases of desert plants. Stormy or clear blue skies afforded equally interesting landscape photos. Peter had a great sense where to set up for a perfect shot, and he was always happy to share his extensive knowledge of photography. In addition to the stunning scenery, we especially enjoyed the camaraderie of our houseboatmates. We loved getting to know these friends we’d only known through their photos. The houseboat had plenty of space – the top deck afforded fresh air, fantastic views, shade, and a cool breeze. We had many relaxing hours cruising to our destinations watching the monuments and canyons drift by. Peter’s detailed planning and organization made the trip very easy and relaxing, and we enjoyed the trip without any worries. In addition to his excellent photographic skill, Peter has a wonderful sense of humor, and an eager sense of adventure! Peter has great orienteering skills, is very responsible, and his top priority is to keep everyone safe while having fun. We’d love to do another trip with Peter! 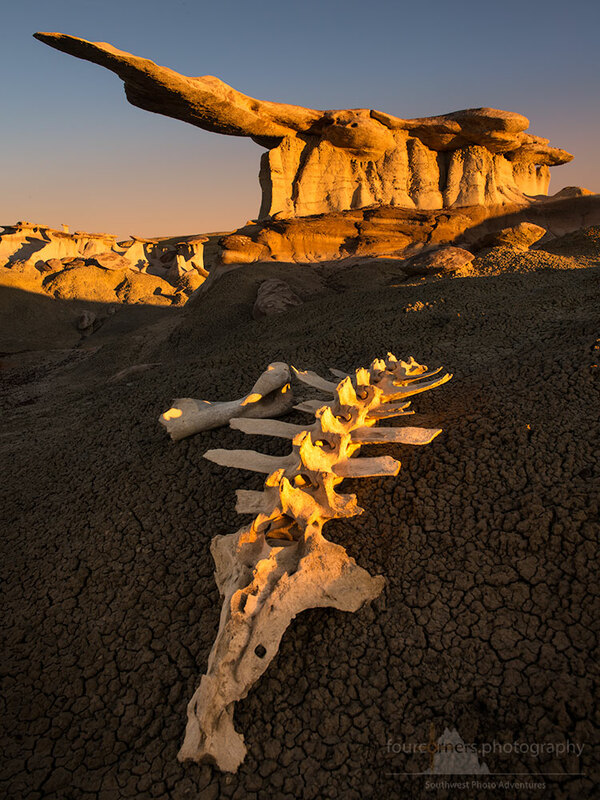 Peter’s vast experience both photographing and camping in some of the most remote areas of the desert Southwest made him the clear choice when trying to set up a summer trip to these difficult-to-reach formations. Unlike the nearby Wave, whose trailhead can usually be reached with a regular passenger car, the roads to White Pocket and Coyote Buttes South have well-deserved reputations as some of the most difficult and dangerous in the lower 48: jagged rocks, lengthy sand traps, and a propensity for saddling inexperienced motorists with extremely expensive towing bills. Throw in triple-digit heat during the summer months, and you can see why even someone with experience photographing in this part of the world would want to minimize the risk by going with a veteran guide. Peter not only got me where I needed to go, but got me there safely and at the right time to take full advantage of the best light — not an easy thing to do in late June, when sunrise comes as early as 5 a.m. Add in Peter’s gracious manner, attention to detail (like a portable shower, which proved a real godsend after a day of sweating it out in 105-degree heat), and willingness to share professional tips; and you can see why I consider my trip with Peter to be one of the best photographic experiences of my life: he not only helped me achieve what I set out to do, but put me in a position to get a lot more out of future trips to the region. Highly recommended. I had the privilege of doing 4 tours with Peter over the last 4 years. 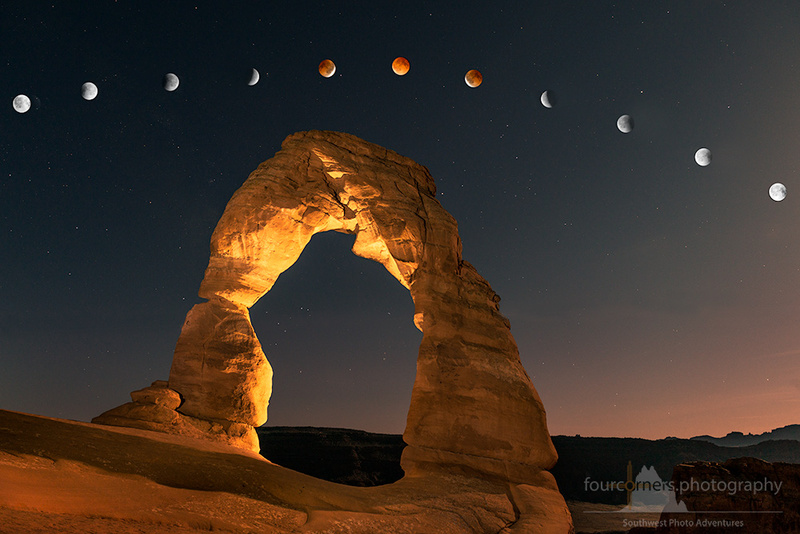 Each of these tours were 2 weeks of pure photography adventure. 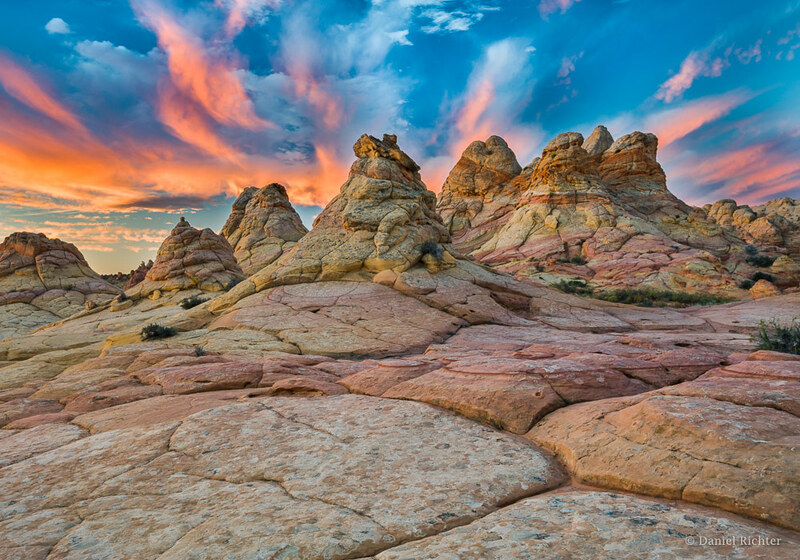 I visited once the Eastern Sierra Nevada (Mono Lake and Death Valley) and three comprehensive explorations of the American Southwest (Zion NP, Bisti Badlands, North Coyote Buttes, White Pocket, Lake Powell, Moab, just to mention some …). I cannot have enough and I still plan to do others trips with Peter to pursue further exploration. I am more than satisfied on how the tours were planned and organized. 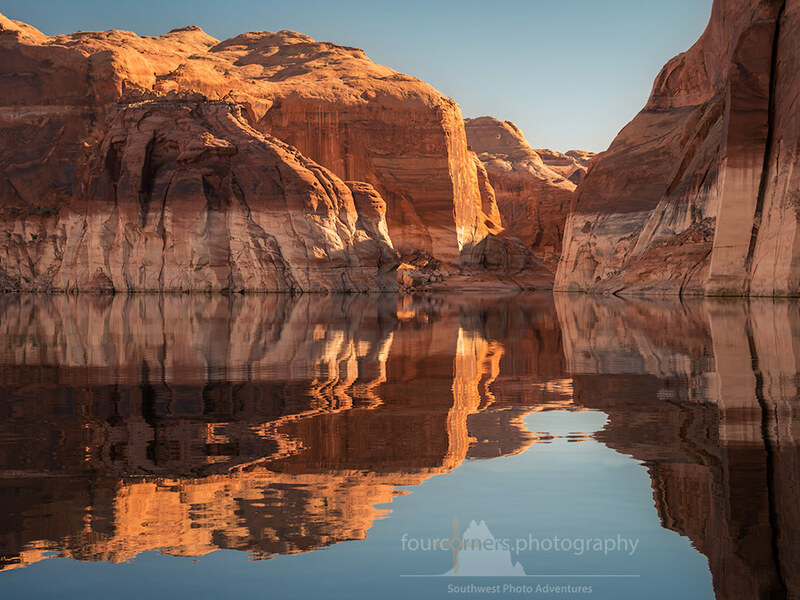 I succeed to get to remote places which I would otherwise have never reached by myself, either thanks to the use of Peter’s high clearance jeep (to access Toroweap Point for example), or by advanced backpacking (The Narrows top to bottom and Reflection Canyon). Moreover, I benefited from the very good knowledge of South West areas to also discover places I have never heard before. Each time an unexpected event occurred and an efficient solution was proposed to maintain the plan or a good alternative to replace the original plan was at hand. Peter did a great job leading our group on a several day photo adventure. He completed scouted the area to make sure we got the photos that we requested, and that we had a prime location for the lunar eclipse. Our group had a wide range of photographic knowledge and hiking ability and he made sure we all were looked after on both points. 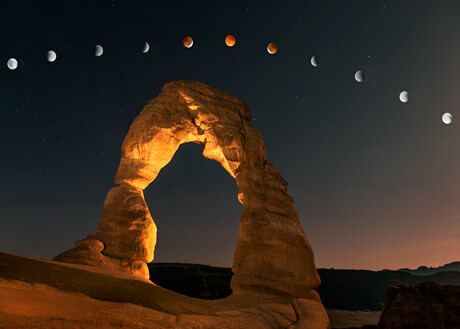 Even camping out overnight to shoot the lunar eclipse, several miles from the cars, we felt safe and secure at all times. Throw in that his price was very reasonable, we are looking forward to taking a trip with Peter again. Even after it was over we continue to share different photos we each have taken, and he offers post processing advice to me. Peter is a great guide, and I can now count him as a friend. I am a London based photographer and was researching a new project online when I came across Peter’s ‘LightPalette’ site offering photo tours in the South West USA. Peter’s photography and style stood out from the many others offering photo tour services. Throughout our pre tour communications he was happy to offer sound advice and devise an itinerary to suit my timing. I work to tight schedules and Peter’s knowledge and experience on getting to extremely remote locations was invaluable. very impressed by Peter’s diligence. I have a special passion for landscape photography and I put a lot of effort to return home with as many as possible images which I pre-visualized while planning a trip. My photographic travels took me so far to Western Europe including Bretagne (France), the Swiss Alps (Wallis and Graubünden), as well as to Fagnes (Belgium). 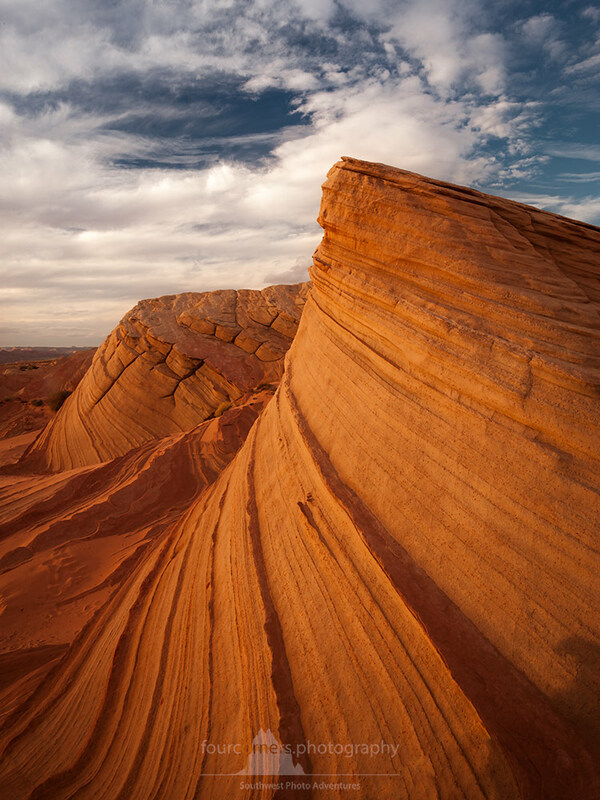 My long time dream was to photograph the American Southwest which harbors one of the finest landscapes in the world. However, even the best preparation does not guaranty a good outcome as there are many too variables playing into the equation. Getting to a remote place, finding the right composition, being there at the right time of the day are all very real challenges to be tackled. All this might cost you too much time especially if this is a trip to a foreign country where you never have been before. Peter was absolutely the right guy to provide me with the infrastructure allowing me to return home with lots of awesome pictures. I never ever would have been able to pull this on my own. He organized everything from the very beginning to the end flawless – hotels, transport to the most remote areas, being at the right spot at the right time. Here you can see a collection of my images that I got during my trip. I consider myself a seasoned and well experienced photographer that travelled all continents with exception of Antartica, so far. 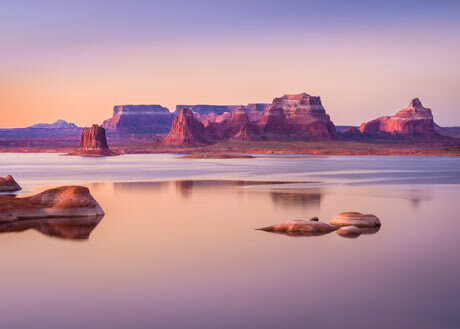 The photographic opportunities of the American Southwest have always captivated me the most and being responsible for three trips to the US which were all organized by me. However, for my 4th trip I wanted something different. My desire was to get off the beaten path and I choose Peter to come up with an exquisite and extensive itinerary. I lucked out as the guy took me to places that I even never had heard off and I never had seen pictures off. Experiencing places such as the famous Subway at Zion National Park and South Coyote Buttes and White Pocket at Vermillion Cliffs Wilderness was absolutely mind bogglimg. These were places that I NEVER would have been able to access without Peter’s expertise and infrastructure. 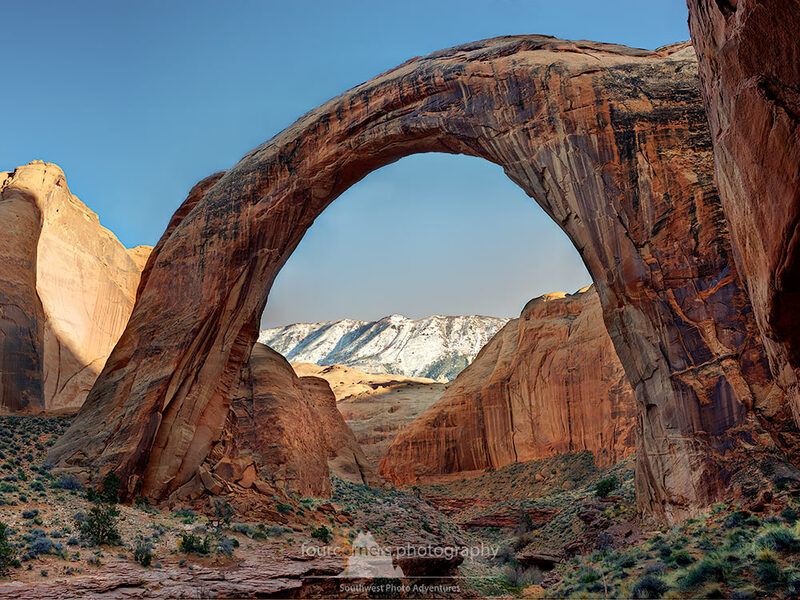 Even places that I thought knowing quite well from my previous trips, for example Monument Valley, he surprised me by arranging access to Hunt’s Mesa, Tear Drop Arch, Mystery Valley and to the proximity of Totem Pole. I came back home with photographic material that is truly unique! Have a look at my images that I got during this tour and you will understand what I mean. Just some words about Peter: I spend 2 weeks on the road with him. He is excellent. He knows the business and shows great dedication to what he does. Every step of the trip was very well organized and executed. At the end of the trip I did not just have a great guide, but more important – a true friend! Backpacking and photographing the Rainbow Bridge during February is a real challenge, specially when there is record snowing one week before the adventure takes place and temperatures during the hiking days are way below freezing point. The nights in the bivy sack and sleeping bag were something beyond of description, but the days were sunny and warm. After 1 1/2 days on the trail we arrived the Rainbow Bridge at the bottom. We just came in time to have our shots taken with the warm glow reflecting from the sandstone walls and the snow capped Navajo Mountain in the background. The latter was the reason to have adventured out in these adverse weather conditions. The entire trip was very well organized by Peter with the permits in place, GPS coordinates to scout through the wilderness, warm breakfast and dinner and beeing an excelent companion who always provides a sense of safety and high professionalism. Peter is not only an excellent photographer, but also well versed in the skills necessary to guide you away from the well beaten paths to fine unique images. This means he does his homework, is well organized, and has maps and GPS coordinates and the energy to go out into wild places to shoot. I went with Peter to the Bisti Badlands in New Mexico and came back with some stunning photographs. I highly recommend tapping into his experience and knowledge of photography and of the Southwest geography for your next shoot.